Well the Bine has been walking for a couple of weeks now. 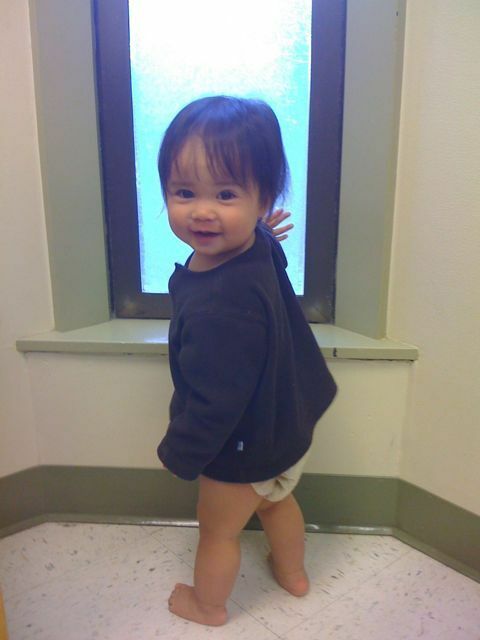 She is also getting great at going up and DOWN stairs. She’s also getting adept at climbing onto coffee tables, couches, and pretty good at getting off of them too, with the occasional mishap. Here’s a more recent video of her walking. Happy birthday Sabine. Looks like you (we’ve) come a long way. From being a blob of baby to a walking, talking, eating, laughing, hiking/biking/fishing, 27 inch monster. Nanya and Popop (aka mom and dad) were in town a few weekends ago and it coincided with Popop’s birthday. 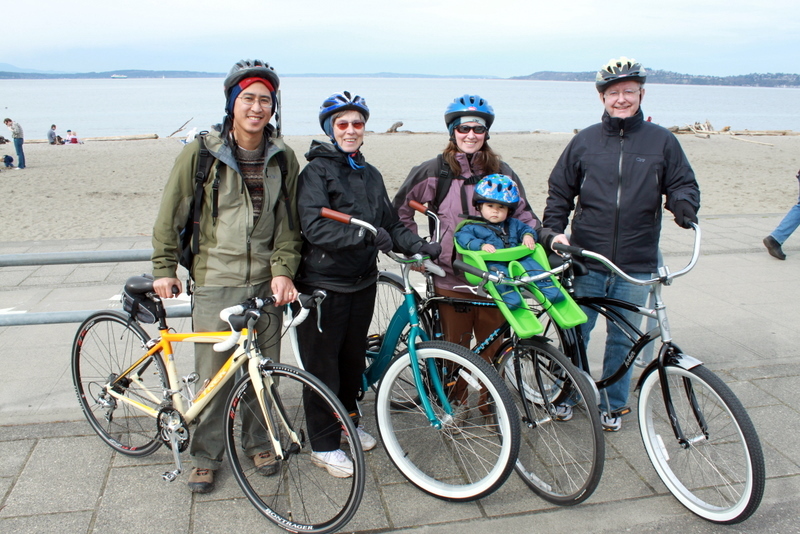 We decided to spend the day biking as a family. As it happened, they had given Sabine a cool new bike seat for her birthday which we had installed and ready for that day. 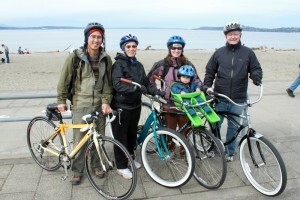 The five of us headed down to West Seattle and rode along Alki Beach. Its a great location as there’s lots to see, a nice bike trail, and plenty of lunch options. We choose the class Spuds for lunch. All of us enjoyed the day, but especially Popop!